American Journal of Botany Volume 104, Number 5. May 2017. Protea repens is the most widespread member of the genus. It was one of the focal species in our recently completed Dimensions of Biodiversity project. Part of the project involved genotyping-by-sequencing analyses of 663 individuals from 19 populations spanning most of the geographical range of the species. 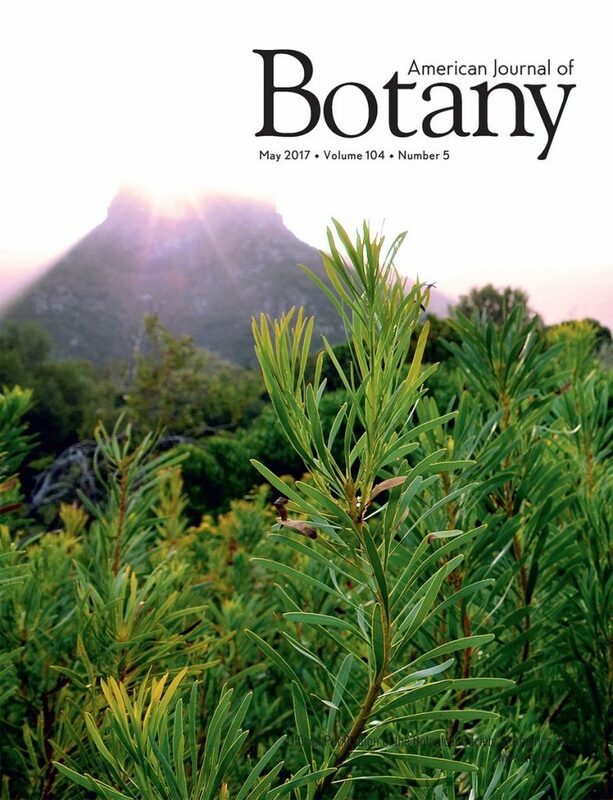 We summarize results of those analyses in a paper that just appeared in advance of the May issue (cover photo featured above) of the American Journal of Botany. Here’s the abstract. You’ll find the citation and a link at the bottom. PREMISE OF THE STUDY: The Cape Floristic Region (CFR) of South Africa is renowned for its botanical diversity, but the evolutionary origins of this diversity remain controversial. Both neutral and adaptive processes have been implicated in driving diversification, but population-level studies of plants in the CFR are rare. 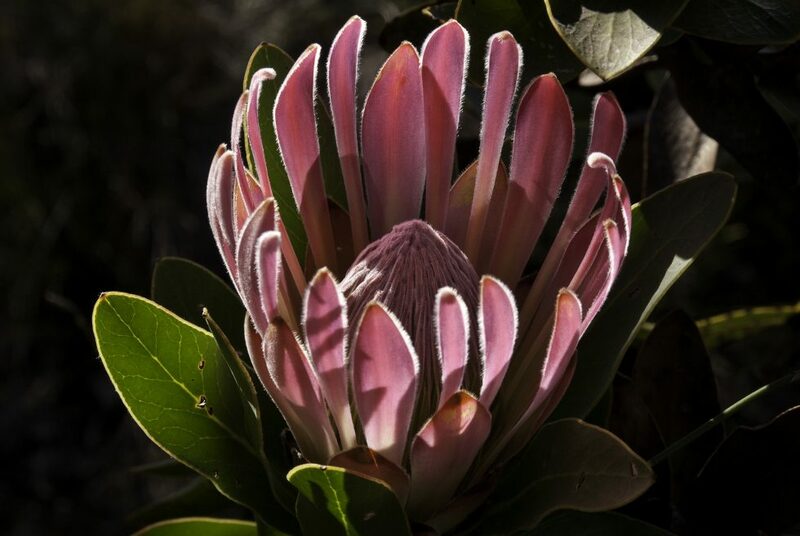 Here, we investigate the limits to gene flow and potential environmental drivers of selection in Protea repens L. (Proteaceae L.), a widespread CFR species. METHODS: We sampled 19 populations across the range of P. repens and used genotyping by sequencing to identify 2066 polymorphic loci in 663 individuals. We used a Bayesian FST outlier analysis to identify single-nucleotide polymorphisms (SNPs) marking genomic regions that may be under selection; we used those SNPs to identify potential drivers of selection and excluded them from analyses of gene flow and genetic structure. RESULTS: A pattern of isolation by distance suggested limited gene flow between nearby populations. The populations of P. repens fell naturally into two or three groupings, which corresponded to an east-west split. Differences in rainfall seasonality contributed to diversification in highly divergent loci, as do barriers to gene flow that have been identified in other species. CONCLUSIONS: The strong pattern of isolation by distance is in contrast to the findings in the only other widespread species in the CFR that has been similarly studied, while the effects of rainfall seasonality are consistent with well-known patterns. Assessing the generality of these results will require investigations of other CFR species.